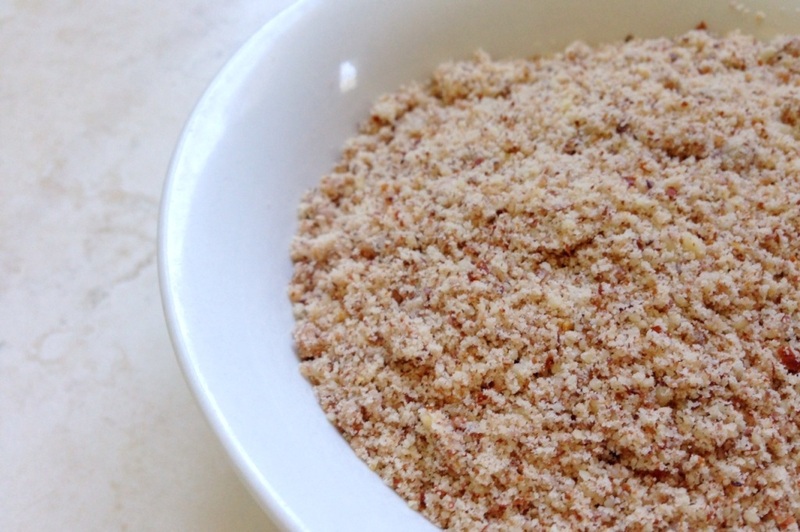 Homemade Almond Flour. Photo by Sarah Shilhavy. As gluten free diets have gained in popularity, almond and coconut flours have become a trusty staple in many gluten free pantries. While coconut flour is the fiber from coconut meat after nearly all the oil has been extracted, almond “flour” is really just almonds ground up into a fine meal, and is also marketed under the name “almond meal”. Considering how mild, pleasant and versatile almond flour is in terms of taste and texture, it has become a very valuable addition to any baking pantry, gluten free or not. When used together, these two flours can make a very flavorful and foolproof gluten free taste and texture, much more so than if you used them on their own. The almond flour balances out the moisture issue with coconut flour, requiring less eggs while the finer texture of the coconut flour blends and evens out the often irregular texture of almond flour. Use more almond than coconut flour. Coconut flour is a very dense, concentrated, and dry flour, whereas almond flour is the exact opposite. Start out with about twice as much almond to coconut flour and adjust as needed. In most quick bread type baked goods, using a liquid provides moisture and helps with the binding texture. This goes for gluten free baking as well, especially with almond flour. Adding a liquid, preferably one with fat (such as dairy or nut milks) will not only act as a binder, but also add flavor and make up for coconut flour’s dryness. Pull out your high-powered blender or food processor, your favorite almonds, and blend until you get a fine meal-type powder. Now you have almond flour. Blend about 1/2 cup of almonds at a time, or just enough to cover the blades. The reason for this is that you want the blades to chop up every single almond as much as possible before the mixture turns into almond butter. If you get over zealous and try blending too many at once, you’ll end up with uneven flour and chunks of almond that will refuse to be broken down. Keep a butter knife handy and scrape the corners of the container down every few seconds to ensure that all chunks die. If you keep your food processor or blender running for too long, you’ll end up with almond butter. That is really not such a bad thing, but it’ll be annoying if you were expecting almond flour. Stop when the consistency of the almonds is very soft and fine. There is a fine line between leaving a few stray chunks of almond in the mix and letting the beginning stages of almond butter develop. The latter is better – just break up the little buttery clumps and mix it back into the rest of the dry flour. Something else you may have noticed while shopping for almond flour are all the different types: blanched, raw, salted, unsalted, roasted and salted, and so on. These are easily made yourself. All that is needed is the right type of almond. Example: if roasted or blanched almond flour is needed, just blend up roasted and salted or blanched almonds, and so on. Feel free to play with these different types to see how it effects the flavor of your finished product. The best almonds currently available, if you can find them, are organic almonds that are not from California. California has some serious sustainable issues with their commercial almond industry. See: How Did Almonds Surpass Peanuts as America’s Top Nut? The Dark Side of Almonds and Are California Almonds Destroying the U.S. Bee Supply? Check your sources for good almonds, make almond flour yourself in mere minutes, mix it with coconut flour and experiment with different recipes to see what you think works best. Muffins are a good starter project, and the recipe below uses both almond and coconut flour to create a foolproof gluten free texture. This allergy friendly recipe also uses raw honey instead of processed sugar and will use up your overripe bananas, so it’s a win all around! 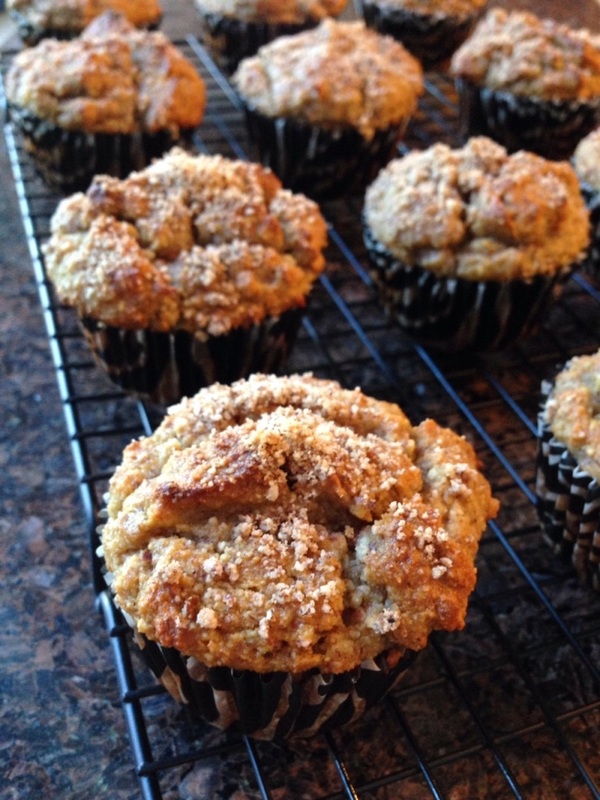 Gluten Free Banana Almond Muffins. Photo by Sarah Shilhavy. Whisk eggs and honey together in a large bowl until well combined. Add extracts, cream, butter/coconut oil and bananas and whisk until well mixed. Mix topping ingredients together. Divide muffin batter between 12 paper lined muffin cups and sprinkle with topping. Bake in preheated oven for 20-25 minutes, or until toothpick inserted into center comes out clean.